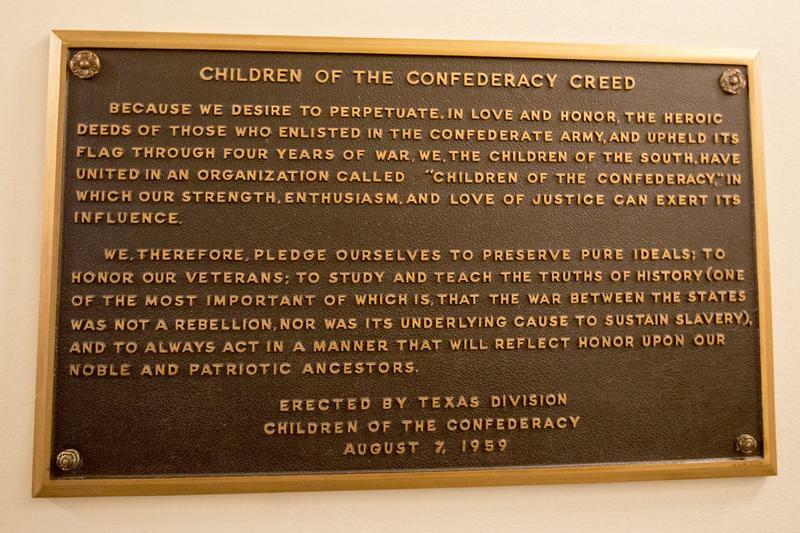 The "Children of the Confederacy Creed" plaque, highlighted in a letter state Rep. Eric Johnson sent to the State Preservation Board, asking that it be taken down. The plaque, erected in 1959, asserts that the Civil War was “not a rebellion, nor was its underlying cause to sustain slavery." "This is not accurate, and Texans are not well-served by incorrect information about our history," Straus said in a letter to the State Preservation Board which oversees the Capitol grounds. Straus added in his letter that “confederate monuments and plaques are understandably important to many Texans" but stressed the importance of such landmarks being "accurate and appropriate." "The Children of the Confederacy Creed plaque does not meet this standard," Straus wrote. State Rep. Eric Johnson, D-Dallas, who has called for the removal of the plaque, told the Tribune he was “pleased” that Straus agrees it should come down. 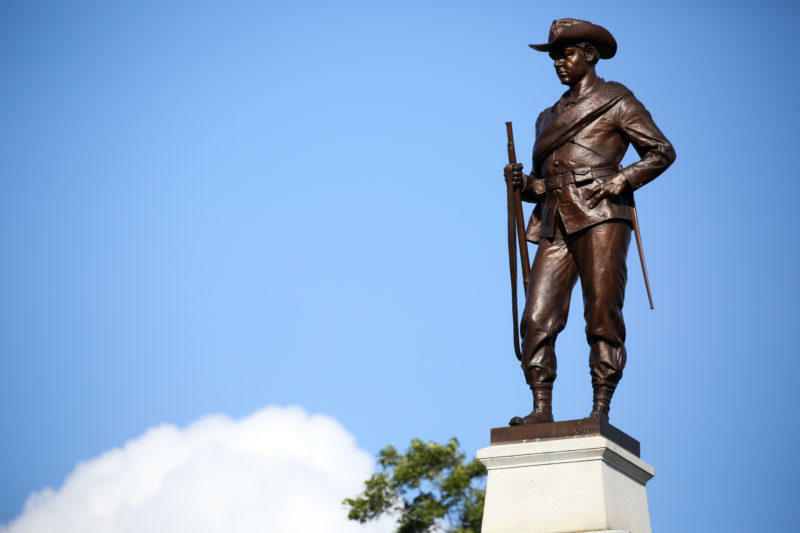 Straus’ letter to the State Preservation Board is part of a larger conversation — both statewide and national — surrounding Confederate monuments. Following the deadly racial conflict in Charlottesville, Va. that began as a defense of a Robert E. Lee monument, some confederate statues in Texas have quickly come down after years of debate including three at the University of Texas at Austin and one last week in a public park in Dallas. Still, there are more than 180 public symbols of the Confederacy around Texas including a dozen just on the Capitol grounds. “We have an obligation to all the people we serve to ensure that our history is described correctly, especially when it comes to a subject as painful as slavery,” Straus said in his letter. 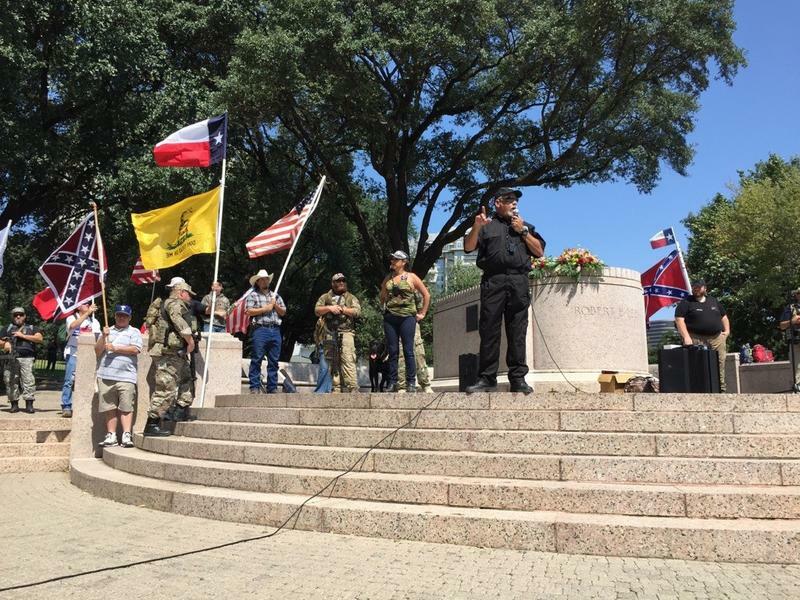 Two days after a statue of Robert E. Lee was removed from the Dallas park named after him, a group called the “This Is Texas Freedom Force” held a protest rally at the empty pedestal Saturday morning. After weeks of legal and logistical wrangling, a statue of Confederate leader Robert E. Lee that had been in Dallas' Oak Lawn neighborhood for 81 years, was removed Thursday night. Meanwhile, State Rep. Eric Johnson (D-Dallas) will meet with Gov. Greg Abbott to discuss removing or altering Confederate monuments and plaques on the Capitol grounds.